Home > How to prepare your liquid ? How to prepare your liquid ? 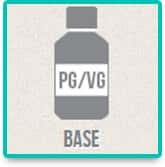 Add your base with a desired proportion of PG (Propylene Glycol) and VG (Vegetable Glycerine). Add if needed, the necessary quantity of a booster, if you wish to have an e-liquid with nicotine. You can use a number of accessories to handle and store your future e-liquid. Add a few drops of the flavour of your choice. Let your preparation rest for 48h/72h so that the flavours develop correctly. Additives enhance the taste of certain flavours, add finishing touches to the e-liquid, sweeten it or add a sensation of freshness. 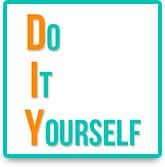 The DIY (Do It Yourself) is an alternative consumption mode which consist of fabricating your own e-liquid. 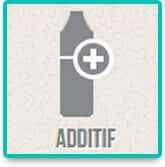 Creating your own e-liquid allows the vapers to dose the aromas, choose the base and rate of nicotine, to create your own unique e-liquid adapted to manner of vaping. This is the occasion to test and invent new flavours. The DIY is possible, economic and simple then you think. Add droplets of concentrated aromas in the neutral base (PG/VG, with or without nicotine). What are the advantages of creating your own e-liquid? Important Economy: To control the cost (The price of a base around 100ml and an aroma is the equivalent to the price of a 10ml bottle, give or take 2 Euros depending on the dosage of the aroma. Infinite Combinations: Gracious to the important choice of aromas and bases, you can personalise your e-liquids to satisfy your preferences. Knowledge and Control: The composition of your e-liquids. How to fabricate your own e-liquid? With each aroma and each concentrate available on the Le Petit Vapoteur website, a calculator is proposed. The calculator takes into count the dosage advised by the manufacturer of the aroma and concentrate. The calculator automatically indicates the quantity (in ml) of aroma integrated with your mixture. Indicate the quantity of liquid you wish to obtain. Indicate your Rate of Nicotine. All the results are indicated in ml: Base, Boosters, Aroma. 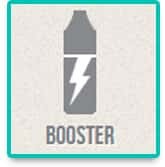 For the boosters, it is simple enough to divide the result by 10 to obtain the number of Booster vials. In bonus, the calculator advises the optimal steeping time (for information) for your e-liquid. What do I need to fabricate my own e-liquid? Ready to use: A neutral liquid, without taste, rate of desired nicotine (same rate of e-liquid you wish to consume). The choice of the base determines the hit (passage sensation of the vapor in the throat), the taste aswell as the volume and texture of the vapor. To add nicotine to your e-liquid: The nicotine booster is no more, or less than neutral base with an increased concentration of nicotine. Dilute in your mixture, the nicotine booster allows you to increase the rate of nicotine for you e-liquid. With a capacity of 10ml, the nicotine booster contains 200mg of nicotine. There exist hundreds of different aromas. The aroma gives the taste to your e-liquid. All that is left to do is choose your preferred aroma. Optional, this latest allows you to increase the taste of certain aromas, to round the final e-liquid, to sweeten or give another sensation. All you need to handle and store your future e-liquids, such as new bottles, syringes and protective equipment. The preparation of a homemade e-liquid starts off with a ready-to-use base that will make up 80 to 90% of your mixture. It's in fact a "neutral" (tasteless) e-liquid, with or without nicotine, to which is added one or more concentrated flavours. 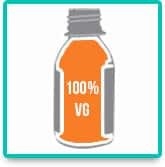 Two components are used to create the e-liquid: Propylene Glycol (PG) and Vegetable Glycerine (VG). 100% Propylene Glycol: This base is the best aroma conduction. In association with the nicotine, the hit (sensation in the throat) is very much restituted. However, if the passage sensation in the throat is to pronounced, the volume of the vapor generated is extremely weak. The utilisation can be problematic with certain atomisers and can cause leaks due to low viscosity. Please note the PG dehydrates, so vaping with 100% PG implies to drink a lot to quench your thirst. 100% Vegetable Glycerine: This base produces a lot of vapor and simulates traditional cigarette smoke very well. The vapor produced is dense and thicker, which has a tendency to hang in the air longer. However, it affects the flavours somewhat (sweetness) and the hit (sensation of the vapor passing down the throat) is limited. Since it is relatively viscous, glycerine does however clog up your atomiser (coil) more quickly. It should also be noted that pure glycerine heated to above 150°C produces acrolein, a substance that is found in the smoke of a real cigarette, which is known to be toxic and potentially carcinogenic. 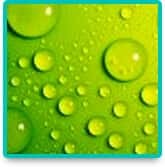 You can also create your own mixtures from the 2 bases and make the most of advantages with Propylene Glycol and Vegetable Glycerine. See the Base Calculator base. You can also directly purchase the ready-to-use mixture, which we advise for beginners. The 80 PG/20 VG: This top selling mixture in France, as it was made popular by a leading French e-liquid brand name. You simply have to add some Vegetable Glycerine to compensate for the lack of vapor and the dehydrating effect of PG. The 50 PG/50 VG: in our opinion the best compromise, bringing together the best of both products. A good conduction for the aromas, a satisfactory hit, generous vapor and low viscosity (to avoid a rapid clogging-up of the material). Which rate of nicotine to choose? If you are heavily dependent on nicotine, we advise you to start off with e-liquids with a nicotine dosage of 18 mg/ml in association with a powerful variable voltage electronic cigarette which will allow you to increase the amount of vapor and the hit in the throat. If you are moderately dependent on nicotine, we suggest you use e-liquids with a nicotine dosage of 12 mg/ml. If you are only slightly dependent on nicotine, we suggest you use e-liquids with a nicotine dosage of 3 to 6 mg/ml. If you are not dependent on nicotine, we suggest you use nicotine-free e-liquids. The absence of nicotine will reduce the hit so you might want to use stronger flavours such as glacial mint or the mint tobacco mixtures. If you are a non-smoker, avoid nicotine e-liquids altogether. A regular smoker has a greatly increased number of nicotinic receptors, thus limiting the effects of nicotine. But for a non-smoker, the risk of addiction and overdose is considerable! 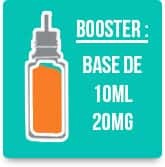 Why should i use a nicotine booster? The Tobacco Productive Directive is a European Law (Tobacco Productive Directive 2014/40/EU voted by Europe 03rd April 2014) which assimilates the electronic cigarette and e-liquids, a product derived of tobacco. Since 01st January the law has restricted the sale of products containing nicotine superior than 20mg/ml. An alternative solution is possible with products called <Nicotine Booster> which proposes the nicotine to be diluted in the base. The rate of concentration in the nicotine does not surcharge the 20mg/ml, this product is conformed with the law. 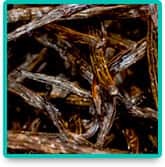 What is a nicotine booster composed of? A nicotine booster is a classic neutral base with nicotine. A capacity of 10ml, the nicotine booster contains 200mg of nicotine. Why are there different ratios of PG/VG in the nicotine boosters? The nicotine boosters can also have different rates of PG/VG to respect the ratio of the base without nicotine. 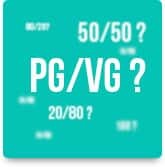 For example, to obtain e-liquid in 50/50 in PG/VG, you can use the booster 50/50 in PG/VG. This allows the preparation to be homogenic. 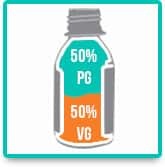 You can use the nicotine booster and a neutral base with a different PG/VG rate but keeping in mind that the nicotine booster used, less the liquid will be homogenic. 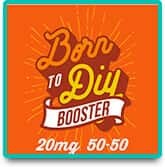 How to fabricate a nicotine base with a 0mg base and nicotine booster? You can easily create your mixture with a 0mg base and nicotine booster gracious to the calculator. To finish, close the vial with the screw cap and shake vigorously your preparation. 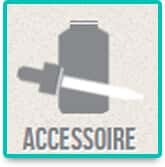 Which accessories are needed to prepare the DIY e-liquids? Beakers, Test Tubes, and eventually the twist vials for small quantities, graduates are essential for precise preparations. The graduate syringes are extremely practical to transverse with precision the ingredients. The PET vials, the unicorn vials and vials with a pipette are used to store the e-liquids. Finally, latex or vinyl gloves are a must for protection. Eventually protection glasses if you are handling large based quantities. The proverb goes “there is no accounting for taste”. An aroma adored by one is not necessarily a favourite for the other. It’s up to you to discover your preferred aroma. In material, there are no rules. Follow your preferences, your needs and try varied recipes depending on your pleasure. There exist hundreds of different aromas. Whether it is Mint, Tobacco, Strawberry, Peach or even Candy you will surely find the flavours which corresponds to your preferences. A piece of advice to get off to a good start: begin with a single aroma per formulation. Number of drops (depending on the flavours and the brand, the number of drops varies). As a % and therefore in milliliters. On average, you will need 10% of aroma in an e-liquid. 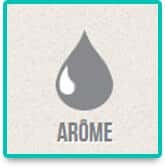 Each product fact sheet for an aroma has the number of drops that you should add to a 10-ml base. Note that 1 ml of flavour is the equivalent of 30 drops. 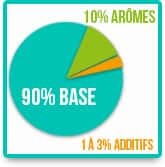 If you need to put 10% of the aroma in a base, you therefore need 10 ml for 100 ml, and thus 1 ml of aroma or 30 drops for 10 ml of base. Additives are optional in the formulation of liquids. They are adapted for the formulation of an e-liquid and enhance the taste of certain flavours (bring out the flavour, add a finishing touch to the e-liquid, sweeten it or add a sensation of freshness). Advice: maintain a proportion of 1 to 3% of your base formulation mixture + concentrated flavour(s), as additives are generally very powerful. Malic Acid (SOUR): The Mali Acid provokes a slight acid sensation. This additive gives a sharp and acidic sensation. It is very useful for candy and drinks such as Colas and sodas. It marries perfectly with Fruity Aromas. 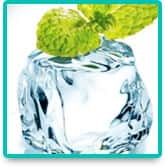 Methyl Lactate (KOOLADA): The Methyl Lactate provokes a Fresh sensation, intense and similar to menthol. The Methyl Lactate is a neutral additive without flavour. There is no taste of Mint but an intense fresh sensation. To be used with moderation depending on your taste. 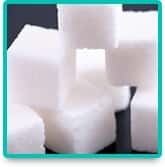 Sweetener: The Sweetener is a commonly used sweetener. 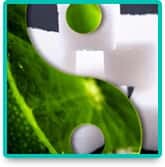 The Sweetener increases the sweet sensations of your preparation and allowing the consequent bitterness of certain aromas and of the nicotine. The advised dosage is 1 drop for 1ml to 2ml of base (French Source Laboratory). Bitter Wizard: Bitter Wizard is an enhancer of tastes which allow you to soften the sugar base (in particular Vegetable Glycerine). The Bitter Wizard is often utilised with the Classic Aromas. 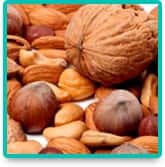 Acetyl Pyrazine: The additive Acetyl Pyrazine is an additive which is highly concentrated, with a dosage of 1 to 2 droplets for 10ml. The Acetyl Pyrazine gives a Gourmet effect, type Smokey with DIY Preparations and can restitute notes of pop-corn or grilled hazelnut. Generally, utilised in Classic Gourmet and Gourmet Biscuit and Caramel recipes. Which proportion of base/aroma/additive ? The aroma represents between 5 to 20% (varied on the strength of the aroma). The additives, generally powerful, will not reach more than 1 to 3%. The maturation phase or the ageing step is very crucial. It is the time required for the preparation of e-liquid to develop to its highest degree and form the aromas. You should shake the vial/bottle once the preparation has finished, and a little each day diffuse the aromas. Note, the addition of an additive generally does not need time for maturation. Also, the higher the Vegetable Glycerine content in the base, the longer the maturation stage. Maturation Stage/Time generally based on the Aroma Families: Warning, there is estimation and steeping duration depending on the complexity of the recipe and your tastes. Always wear gloves and protection glasses when handling nicotine bases. Arrange or store your nicotine vials/bottles in a safe place, only where you will be able to have access, lock and key, and away from light. The aromas should never be vaped alone. They must and should be diluted a base.